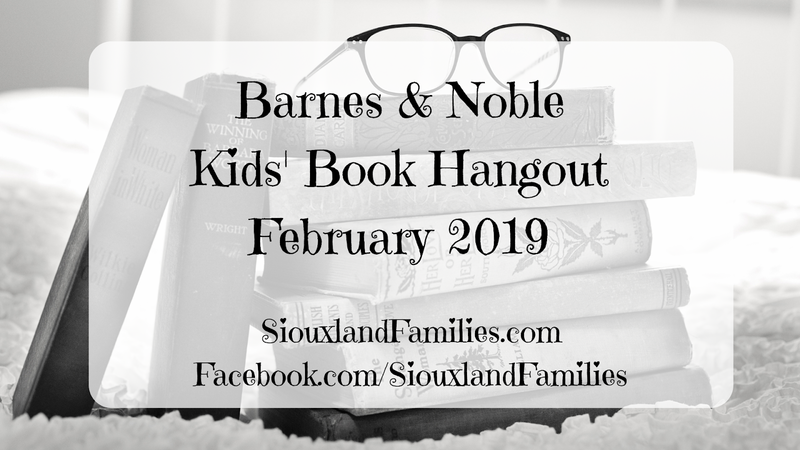 Barnes & Noble just announced they are holding a Kids' Hangout on Saturday, February 9th at 2pm! 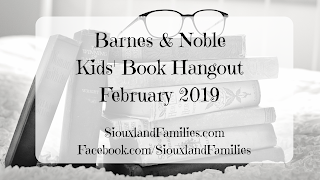 At the hangout, kids will participate in games and activities related to 5 books, and be eligible for giveaways and coupons including 20% off the featured books and $1 cookies from the café. Both the Sioux City Southern Hills Mall and Sioux Falls locations are participating. This new graphic novelization of the classic dystopian tale for tweens and up will feel familiar to parents who read it in novel form in the 90's and is sure to catch the attention of this new generation as well. Just released in January 2019, this cute new graphic novel shares a welcome perspective on finding where you "click" in middle school. Another new release from January 2019, based on the Netflix series, dives into the background of the classic character and her red fedora (and at least some stores will have a red fedora to give away to a lucky attendee!) You're getting too close to a good read, gumshoe! Much like the great choose-your-own-adventure books Gen-X and Millenial parents grew up with, the Oregon Trail series allows readers to make choices and control the outcome of their story, with a variety of possible outcomes. This first installment asks readers to make their way from Independence, Missouri to Chimney Rock, Nebraska without dying of dysentery...will you make it? Barnes & Noble says kids in grades 1-6 are welcome, but based on this month's books' descriptions, I would recommend it for kids in 3rd grade and up. Carter Jones and the Giver in particular deal with some pretty heavy subject matter that may be upsetting to some early elementary students, and Click is about finding your voice and your place amidst middle school cliques, so it may not be as relevant to early elementary students. Oregon Trail and Carmen SanDiego are more likely to appeal to a wider age range of readers. I have not ready any of these books personally except for the Giver, and I could be wrong. I encourage parents to research books and use their own judgement. You know your own kids best and will make the best decision for them! If your have a tween who loves reading, this sounds like an event they will definitely enjoy. To sign up, go here.